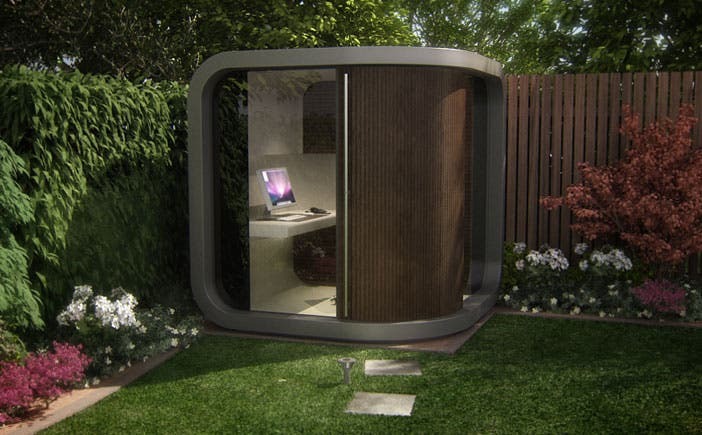 I really like the modern design of this office pod, at a size of 2.1 meters square or about 6 feet 9 inches square by American measurements, you might at first think this is way to small for a tiny house. Here is what I envision, four of these pods on a deck with a dogtrot covering between each pod. 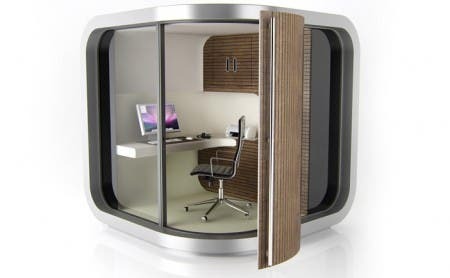 One pod is the kitchen, one the bath, one a bedroom, and one an office. Total living space 196 square feet and if you need to add another room just add another pod. 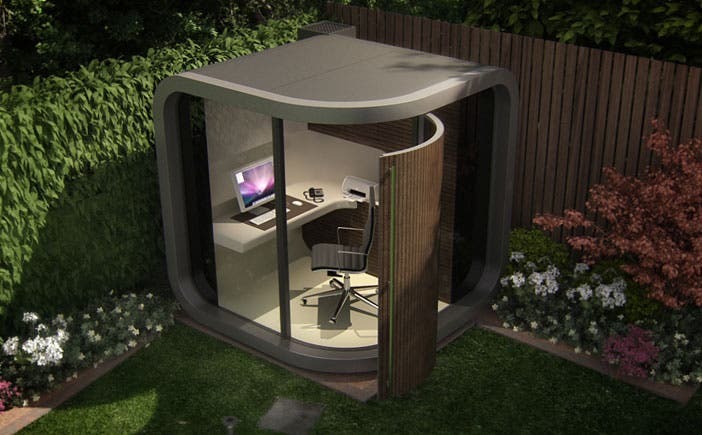 These office pods are designed in London in the UK and I haven’t found out yet if they can be shipped here or at what price. I hope to be getting some of that information soon. Use your imagination and start thinking what you could do with something like this. At this size you could start out with one pod and than add on as you are able or could afford it. Pay as you go. You could even put them on a trailer and transport it to a different location if necessary. If you build your own, you could design it modern or rustic. Use modern materials or reclaimed or salvaged materials, your imagination is the limit. This is definitely a winning tiny house concept in my humble opinion. To learn more about the office pod and the concept behind its design, visit the Office Pod website. These should be big enough to use in a group as you suggest. A little bit bigger (8×8) works great — it allows 2′ cabinets on each side and a 4′ walkway down the middle in my little kitchen. I agree Greg on the size, 8 foot square would be a much better size to work with. well I think they are perfect the way they are! Think it through. Pods last 20 years. So very expensive way of living!!!!! The whole idea of tiny should be cost-effective too you know. its beautiful how can i get its actual dimentions and would like to have it in my garden.